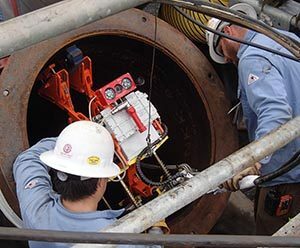 The second phase of inspections continues between West Metering and Berth 5. Equipment in the West Metering Building measures crude oil before delivery to tankers. The project will continue in coming years, when crews will inspect two 48-inch crude oil piping systems carrying oil between East Metering, the East Tank Farm and West Metering. 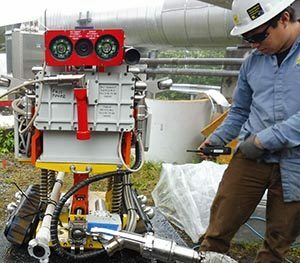 For this work, crews plan to use a traditional In-Line Inspection (ILI) tool, similar to the tools used to inspect the main 800-mile pipeline from Prudhoe Bay to Valdez.